We’ve been working on various number recognition and counting activities lately, and I have to admit that Reagan is really beginning to grasp the concept. 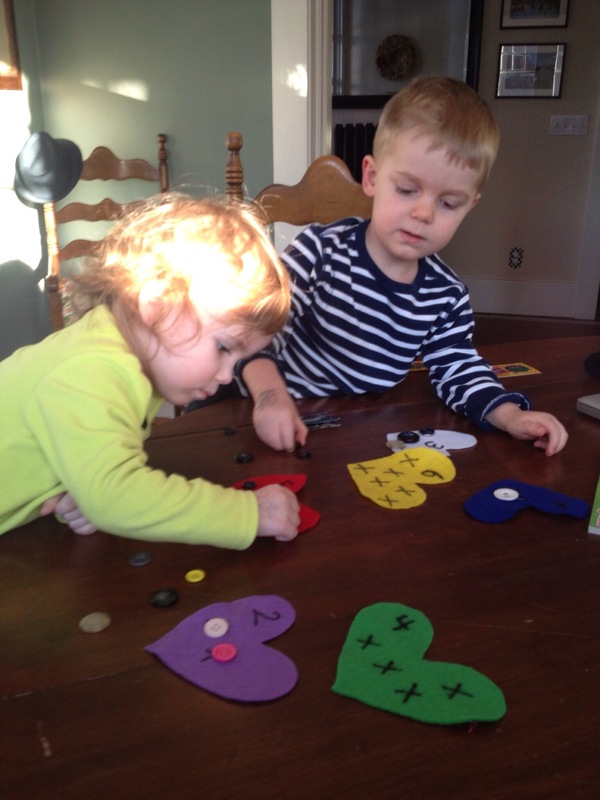 I was excited to see a one-to-one correspondence activity in the ‘work’ area at Reagan’s young 2’s preschool. It’s reassuring to know that the skills that are being taught at home are being reinforced in school and vice versa. For those unfamiliar, one-to-one correspondence is usually explained as the ability to match one object to one (corresponding) number or object. We recreated the activity from school and enjoyed sharing it with Reagan’s cousin. 1. 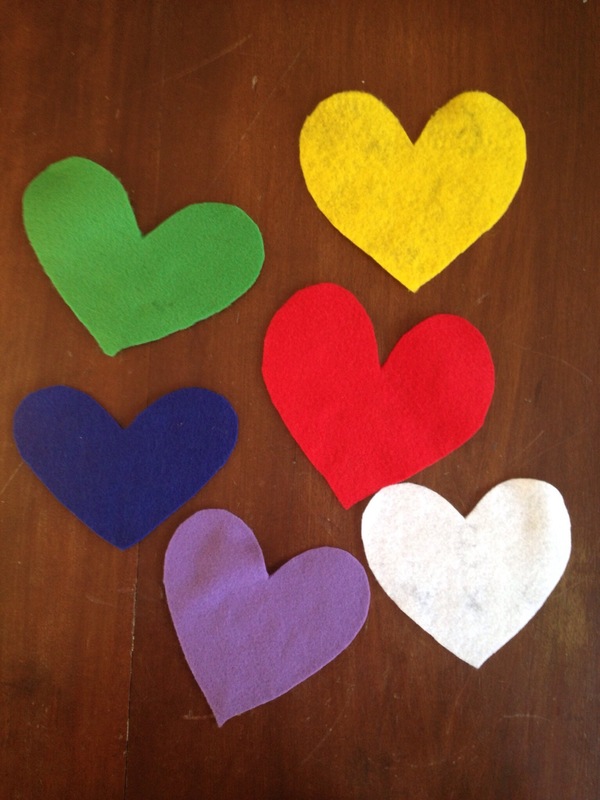 Cut heart shapes out of felt. We cut out 6 hearts, for numbers 1-6. 2. 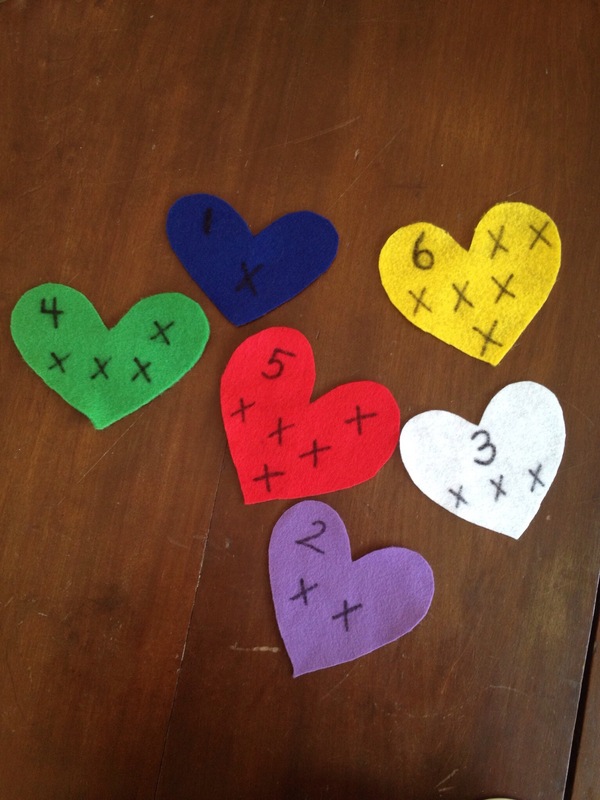 Label each individual heart with a number and the corresponding number of x’s. 3. Provide child with buttons. 4. Model how activity is done. 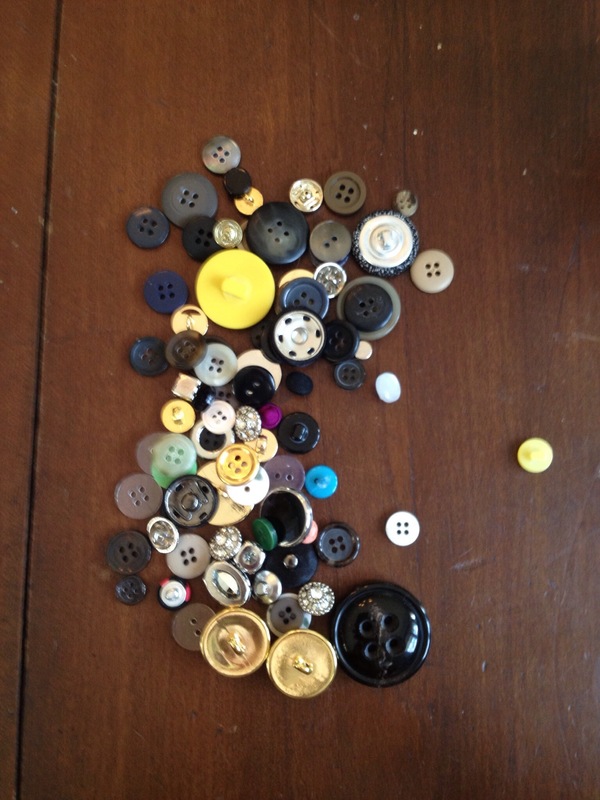 Count number of x’s, say number, point to number, place a button over each x. And/or point to number, say number, count number of x’s, place a button over each x. 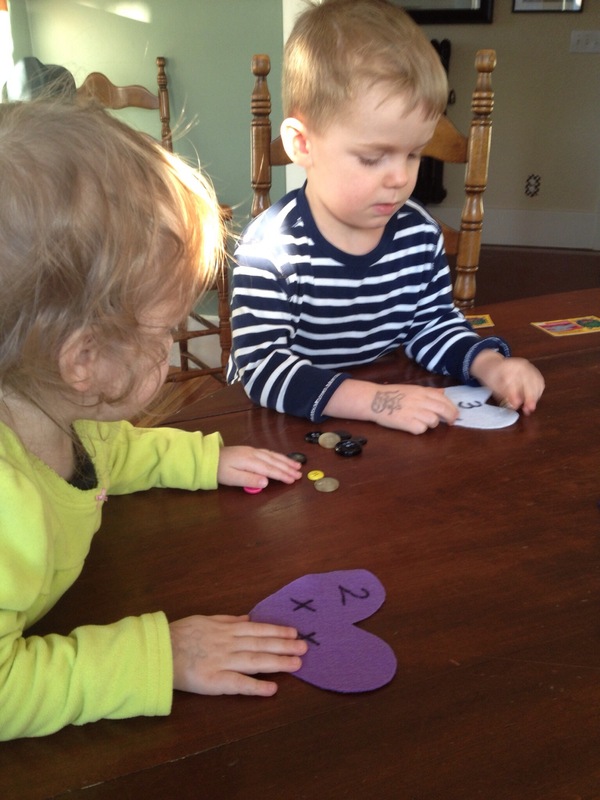 Such a simple and fun way to teach and reinforce one-to-one correspondence. Below are links to additional activities. Enjoy!